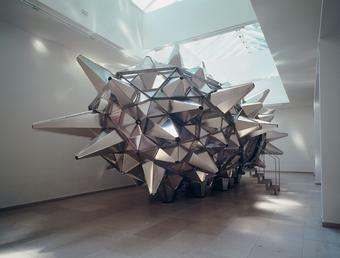 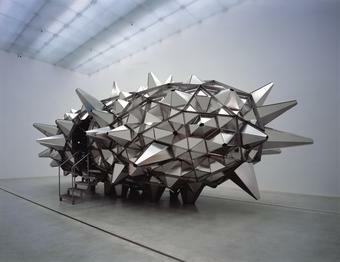 Originally shown as part of the Danish Pavilion at the 50th Venice Biennale in 2003, La situazione antispettiva seems to float above the gallery floor, a spiny pod with a short staircase leading up into its cave-like interior. 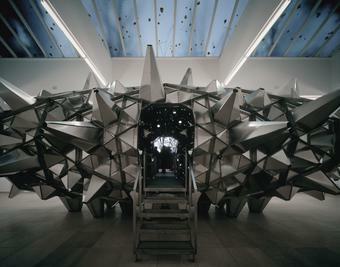 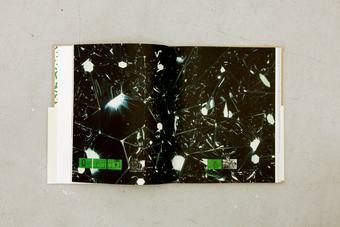 The work’s appearance results from the approximately 250 stainless-steel hexagonal kaleidoscopes that jut into and out of it. There are three different sizes of kaleidoscope, with each size represented in a variation facing outwards and a variation facing inwards. 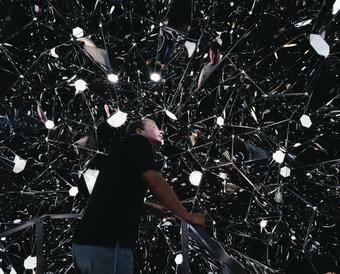 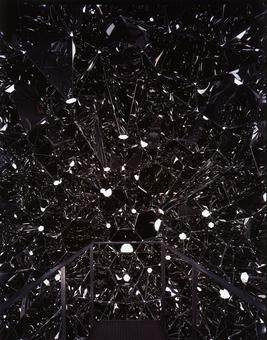 Through the kaleidoscopes’ open ends, viewers can glimpse the work’s polished, complex interior even before they mount the short staircase leading up to the entrance. 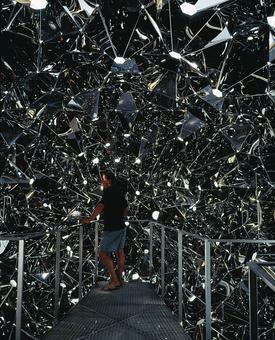 Once inside, the viewer is confronted with multiple fragmented reflections of herself, other visitors, the surrounding space, and distorted splotches of light. 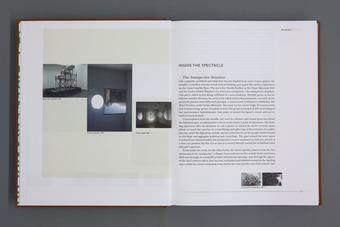 The work, whose title translates roughly to ‘the anti-spectival situation’, proposes an experience of seemingly infinite space – a space that flouts the rules of central perspective in favour of multiplicity.